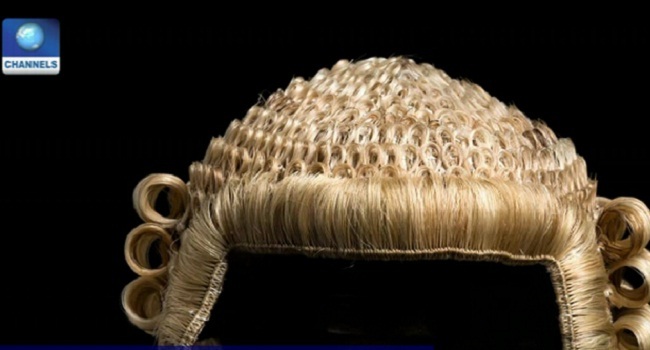 The Legal Practitioners Privileges Committee has named the Commissioners of Justice and Attorney-Generals in Lagos and Ondo states, Mosediq Kazeem and Adekola Olawoye, as Senior Advocates of Nigeria (SAN). The committee also announced the Vice Chancellor of Lagos State University (LASU), Professor Olarenwaju Fagbohun, and that of the University of Ilorin, Professor Mohammed Akanbi, as well as 27 others as those who were conferred with the title. Secretary of the committee and Chief Registrar of the Supreme Court, Mrs Hadizatu Mustapha, disclosed this to reporters on Thursday in Abuja. She added that the new SANs include Professor Oluyemisi Bamgbose – the only female on the list, Professor Isah Chiroma, Professor Wahab Egbewole, and Professor Oforinze Amucheazi. Others are Oba Maduabuchi, Essien Udom, Metong Urombo, George Igbokwe, Olubowale Taiwo, Oluwole Iyamu, Stephen Adehi, and Olusegun Akinbiyi. Also on the list are Emmanuel Achukwu, Kenneth Ahia, Louis Alozie, Adeyinla Olumide-Fusika, Johnson Ojo, Wole Agunbiade, Olayode Delano, and Tanimu Inuwa. The rest are Sonny Wogu, Adewale Atake, Ikhide Ehighelua, Edmund Obiagwu, Cosmas Enweluzo, Ishiaka Mudi, and Olabode Olanipekun – the son of the legal luminary, Wole Olanipekun (SAN). The LPPC secretary revealed that a total of 106 lawyers with 83 under advocacy and 23 under academic applied for the new rank. She said at the end of the 135th plenary session of the committee, only 31 applicants were found worthy to be conferred with the privileged rank.